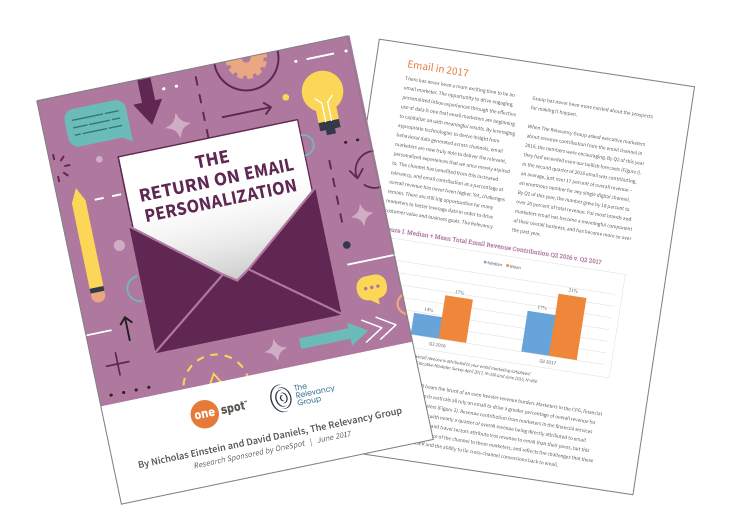 OneSpot and The Relevancy Group surveyed 350 U.S. marketing executives to better understand the impact of personalization in email marketing. Revenue contribution from email marketing is up 18 percent year-over-year. Email personalization is deemed highly effective by a wide majority of marketers. Brands that leverage personalization in their email programs enjoy higher order values, conversion rates, and open and click-through rates. Many marketers struggle to bridge organizational silos and are challenged with getting C-level buy-in, which is necessary to implement personalization efforts.